“I’m a builder. My dream is coming to life and I’m doing it,” says one of the Tired-a-Lot Summer Studio teens as she picks up a drill and begins to construct the clubhouse that she helped imagine and design. 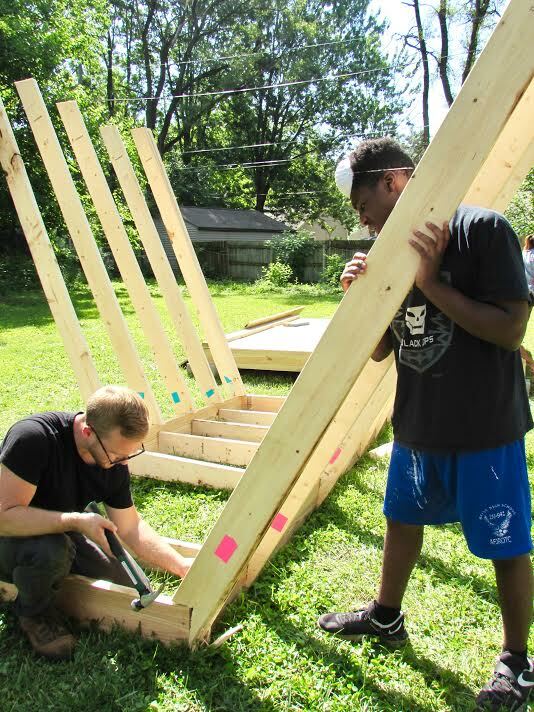 An offshoot of Bridge of Grace Ministries in Fort Wayne’s Mount Vernon Park neighborhood, the Tired-a-Lot project gives high school students a hands-on way to learn about architecture, sustainable design, and installation. 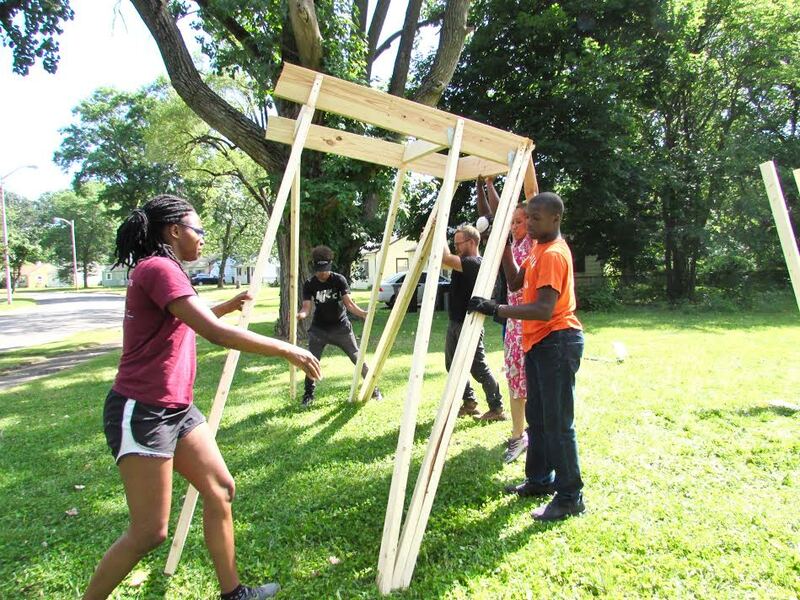 Over the course of five weeks, students have the opportunity to work alongside professional designers and interns, including five camp counselors, to reactivate vacant lots in the neighborhood. On top of that, they use locally sourced and up-cycled materials like pallets and tires to do it. 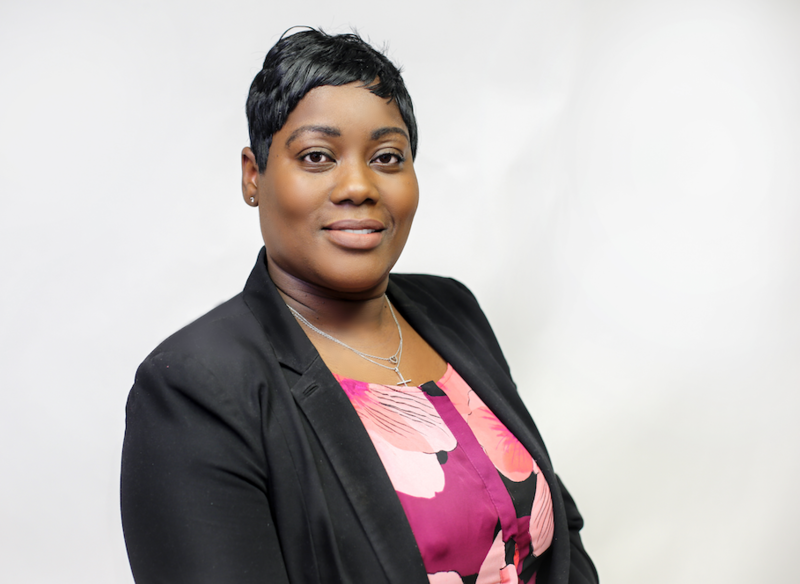 The program is led by Réna Bradley, a graduate architect who is now the Community Development Director at Bridge of Grace Ministries. 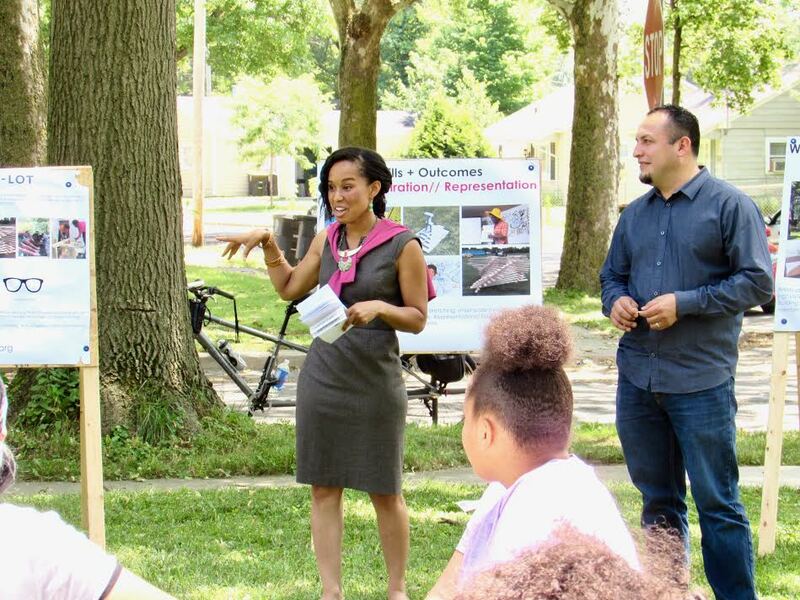 Réna Bradley, director of the Tired-a-Lot project, shows community members in Mount Vernon Park the campers’ designs. For Bradley, architecture is more than just designing spaces. 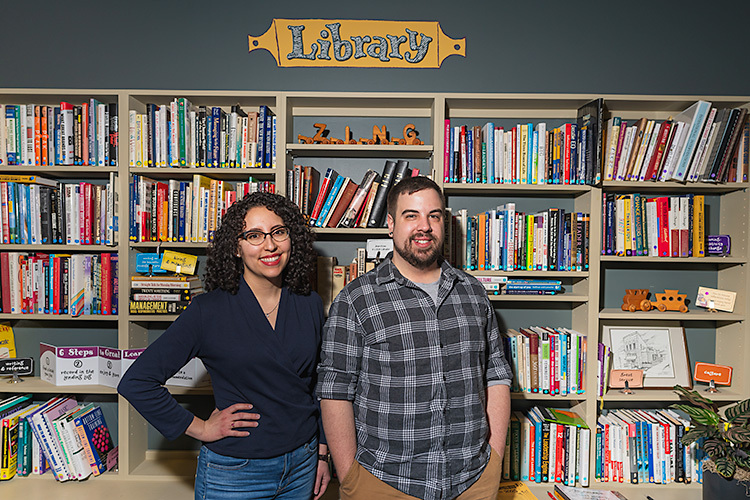 It’s an opportunity to grow and leverage a diverse body of young creative talent to affect real change in their community—the underserved Southeast side of Fort Wayne. As an architect in Detroit, Bradley learned about “evidence-based designs,” or architectural strategies for putting things in place that will dramatically impact a person’s health. Now she’s passionate about implementing the concept here in an authentic way that puts residents’ needs first. Cornerstone Youth Center staff and volunteers work to help youth develop in all areas of their lives. She says the Tired-a-Lot Studio formed in response to needs brought up by a survey of the Mount Vernon Park neighborhood that Bridge of Grace conducted. The ministry went door to door, asking neighbors what they wanted to see in their part of town. Three desires that rose to the top of the list were property beautification, social engagement opportunities, and recreational spaces for their youth. These hopes—combined with the fact that nearly 50 percent of the neighborhood is under the age of 25—led Bradley to the concept for Tired-a-Lot. “I thought that having a camp that focused on architecture, design, and creativity could be a great option to increase our youth’s exposure to art as an outlet, but also to positively occupy our youth’s time—to leverage their free time and talent for positive change,” she says. Bradley adds that having been a “nerdy, creative” kid herself, she desired to create an opportunity that she would have benefited from as a child. Tired-a-Lot crew members raise a structure of the clubhouse they designed. To Bradley and the rest of Tired-a-Lot, helping community residents, especially youth, see that they can be agents for change within their own communities is key. Samuel McCullough, 18, participated in the Summer Studio last year as a camper, and he’s returning this summer as a junior counselor. He says the most important thing about Tired-a-Lot is the “love and care” they give to this particular Southside neighborhood, where he himself grew up. Counselors Sam McCullough and Jesse Hartman construct the campers’ clubhouse design. According to Bradley, this is exactly the concept she strives to impart to the youth who participate in the Tired-a-Lot Studio. 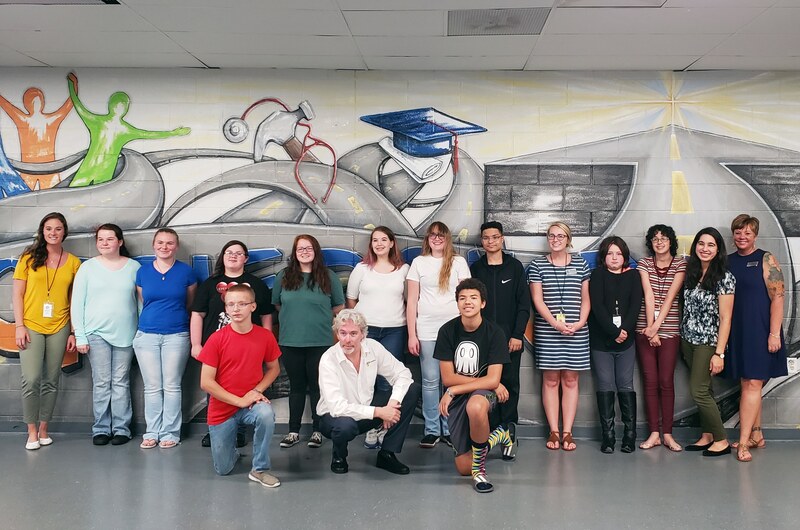 A recipient of the 2016 Knight Cities Challenge Grant, this is the Studio’s second summer in operation; they also organized a Spring Break Studio last April, in which the students designed and painted a mural calling for an end to gun violence in Fort Wayne to be displayed in Mount Vernon Park. 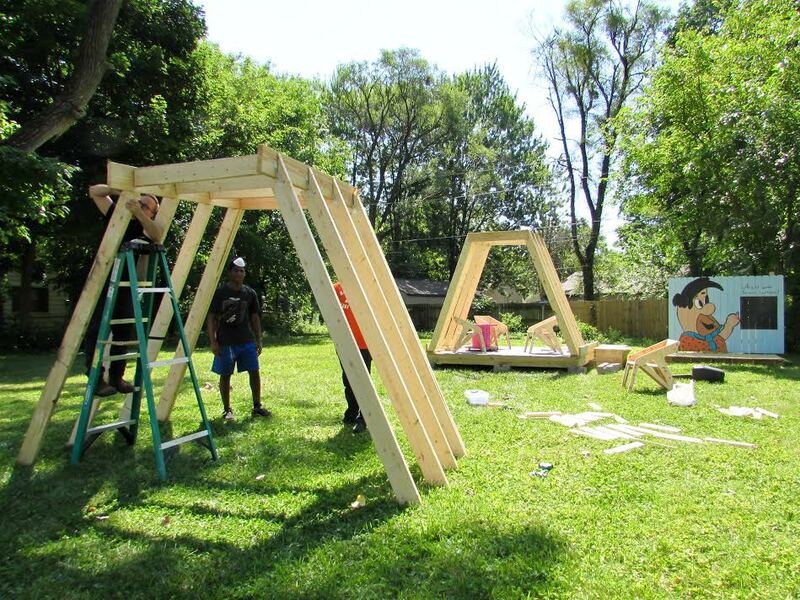 The Summer Studios included building a playground and two full-scale prototypes for community spaces, all constructed between three formerly vacant lots in the neighborhood. Full-scale prototypes of campers' original designs for community spaces fill a vacant lot in Mount Vernon Park neighborhood. Coming to the end of their 18-month grant, Bradley’s next steps with Tired-a-Lot are to create field guides of the projects that the campers have designed and built so far. 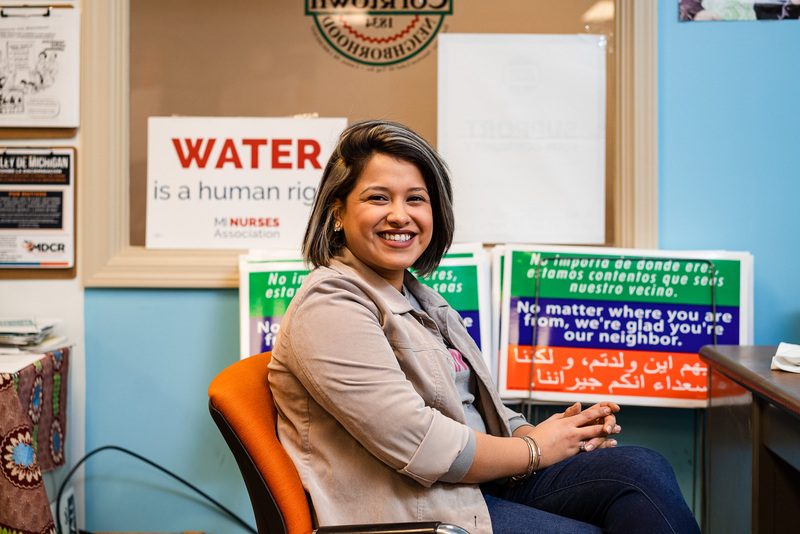 She hopes to release these guides on the camp’s website so others can use them to transform their own neighborhoods and communities. She also plans to gather volunteers and build permanent installations of the campers’ prototypes from the two past Summer Studios. 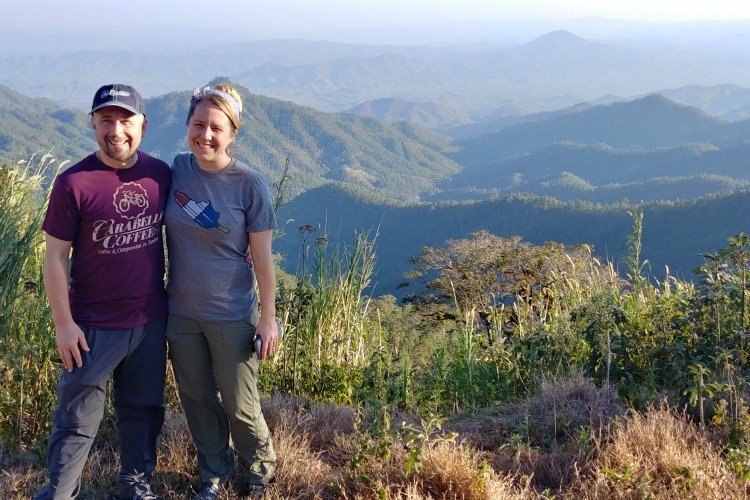 Bradley says she believes that the efforts of Tired-a-Lot are truly making a difference, both in the lives of the teens who are realizing the “latent potential and brilliance that is within them” and in the community at large.